Mattson Newell is a Senior Partner at Partners In Leadership, delivering the company’s award-winning content, training, and consulting solutions to organizations worldwide. He is an expert and author on Breakthrough Communications, Global Human Resources, and Talent Development. Working with leaders from companies across industries, including energy, government, healthcare, pharmaceutical, and technology, Mattson helps clients achieve large-scale culture transformation, industry-leading customer satisfaction and internal employee ratings, millions of dollars in increased revenue, successful turnarounds, aggressive growth targets, and successful rollout of key initiatives. His clients range from start-ups to Fortune 50 companies, including The American Hospital Association, AT&T, Berkshire Hathaway, Biogen, Ford, Hilton, HP, Lubrizol, Nike, T-Mobile, US Foods, and Whirlpool. In 2014, Mattson was selected to the Forbes 30 Under 30 Global Summit and was recently named, “A rising star in the training and consulting industry!” by Talent Development magazine. An accomplished writer, Mattson has published articles in Forbes, Chief Learning Officer magazine, Energy Digital, Boston Business Journal, Inc. Magazine, and the Hotel Business Review. He frequently delivers impactful talks and keynotes at major conferences and events throughout the world. Having lived in countries in Europe, Asia, and South America, Mattson brings a unique global perspective to each client engagement. 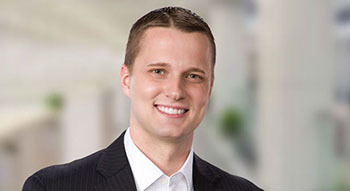 Mattson received his undergraduate degree from Brigham Young University and has his master’s degree in communications management with an MBA core and focus on organizational behavior from the University of Southern California. He has also completed the Executive Leadership program at the S.C. Johnson School of Management at Cornell University.